Her voice has been compared to that of the, well, incomparable Kirsten Flagstad, legendary Wagnerian soprano. She has sung major roles in operas such as Bellini’s “Norma,” Verdi’s “Rigoletto,” and Wagner’s “Ring” Cycle in leading venues worldwide. She won the 2007 Metropolitan Opera Auditions, 2013 Cardiff Singer of the World competition, 2014 Marian Anderson Award, 2015 Richard Tucker Award and the 2017 Beverly Sills Artist Award. 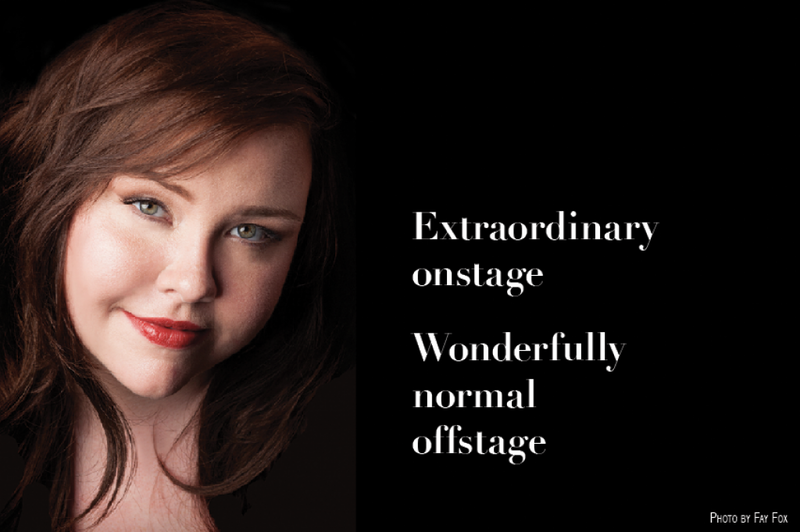 Clearly, American mezzo-soprano Jamie Barton is not just a still-rising vocal phenomenon, but an established international star. And now, in a major coup for the 105-year-old Matinee Musicale Cincinnati recital series, Barton comes to Cincinnati’s Memorial Hall Jan. 26 for her local recital debut. Barton also will conduct a master class for voice students at the University of Cincinnati College-Conservatory of Music, co-sponsored by Matinee Musicale, Jan. 25, free to the public. Barton’s astounding voice – “sumptuous” seems the adjective most frequently employed – has earned her the sort of superlatives not heard in decades. “The world has been waiting for this voice for a long time – one that reminds you of how capable the human voice is of creating something of absolute beauty,” says leading mezzo Joyce DiDonato, a fellow Sills award winner. She earned her undergraduate degree in voice at Shorter College in nearby Rome, Georgia, then went on for graduate work at the prestigious Indiana University School of Music, a hotbed of aspiring young opera singers. Further training at the Houston Grand Opera Studio honed her skills, leading to a flurry of smaller roles with companies such as the Metropolitan Opera and Lyric Opera of Chicago. Then came Cardiff, and Barton’s career has been on a rocket ride ever since. “Life has certainly changed drastically for me since 2013, when I had a sort of double-header of winning Cardiff Singer of the World, and a few months later did my first leading lady at the Metropolitan Opera (Adalgisa in “Norma”), and I’m not entirely sure if the attention will ever feel ‘normal,’ ” Barton says. “Jamie Barton is a rare combination of up-to-date and a throwback,” says Evans Mirageas, Cincinnati Opera artistic director. “What places her in the new generation of emerging stars is her ability to be so wonderfully normal offstage and so extraordinary onstage. 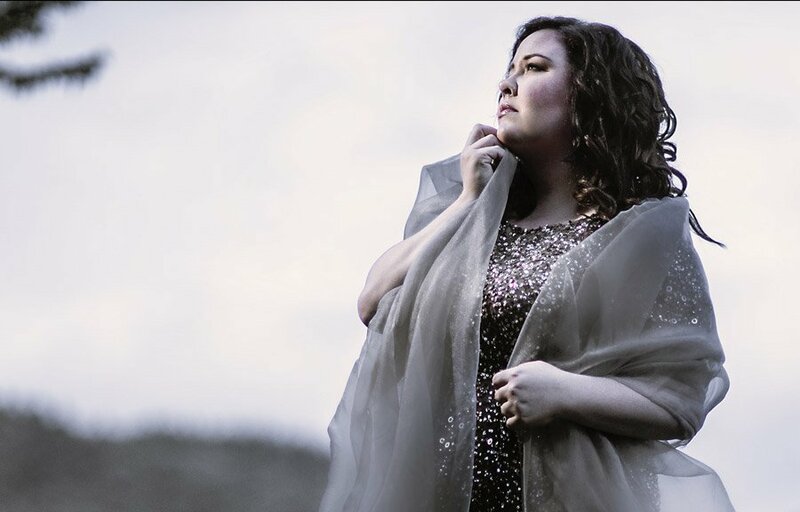 What sets her apart from her contemporaries in the operatic world is not only her powerhouse voice, but her distinctive artistry in a more intimate recital setting, such as January’s Memorial Hall program. “As you know, some opera phenoms are not always successful in the more intimate and exposed atmosphere of the recital scene, but Jamie has had phenomenal success in her most recent recital tours,” says Martin, herself a mezzo-soprano. Barton’s undergraduate experience at Shorter may have helped her develop her recital skills. Whether in opera or recital, Barton says she gets a special thrill reaching out to listeners who are unfamiliar with classical music in general. Barton says she approaches a recital in a completely different manner from an operatic performance. That Cincinnatians will get the chance to hear Barton close up in Memorial Hall is a tribute to Matinee’s new vision and willingness to adapt. “Matinee Musicale could never have afforded to hire singers of the caliber and reputation of Jamie Barton in years past, but a recent generous bequest to us from Louise Dieterle Nippert has enabled us to expand our horizons and continue our mission,” Martin says. Likewise, it’s a rare opportunity for both students and the public to watch Barton get into the inner workings of the vocal art in her CCM master class. Actually, it also reminds her of her own vocal development. “During the academic years, I know that I had my head so focused on singing correctly that I sometimes forgot that what we do is a living, breathing art form,” Barton says. “These composers we sing give us so many clues in the score as to the story they’re composing music to and how to bring it to life. It sometimes takes a little extra digging, but I find when the storytelling becomes the mental focus, then a lot of the other details that singers worry about (remembering words, pronunciation, how to sing that coloratura passage accurately, maintaining a legato line, etc.) tend to correct themselves.